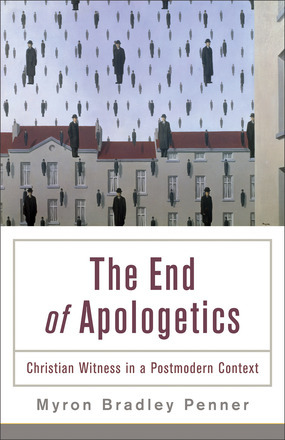 Reflecting more on the issue of apologetics, both in terms of its effectiveness and faithfulness or lack thereof, I came across this book recently by way of David Fitch’s recommendation: The End of Apologetics: Christian Witness in a Postmodern Context by Myron Bradley Penner. It is endorsed, among others, by Carl Raschke, John Franke, Douglas Harink and Robert MacSwain, all of whom are significant voices responding to “church and world” questions today. This provocative text critiques modern apologetic efforts and offers a concept of faithful Christian witness that is characterized by love and grounded in God’s revelation. 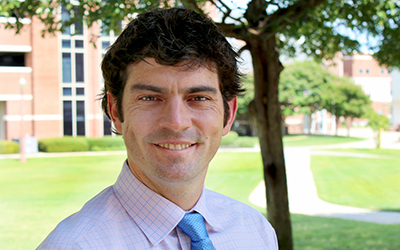 Penner seeks to reorient the discussion of Christian belief, change a well-entrenched vocabulary that no longer works, and contextualize the enterprise of apologetics for a postmodern generation. By postmodern I mean the awareness of the contingency or the problematic nature of the so-called modern project . . . And I wrote the book because that’s where I am at. I no longer see how modern apologetics (and by that I mean the attempt to give reasons for Christian belief that are objective, universal, and neutral) is really all that helpful – for me or anyone else. First, apologetic violence happens at the personal level when apologetic arguments are used to treat people badly. Arguments don’t just “prove.” They may perform a wide variety of functions and can be used to do a lot more than advance a conclusion. When they are used to demean, ridicule, show-up, or hurt another person in any way, I call that a form of violence. Second, apologetic violence can also happen at the social level when Christian apologetic practice merely reinforces and defends a given set of power relations operative within an unjust social structure. We then overlook real people and proclaim to them the “truths” of the gospel packaged in “universal” concepts and categories (as well as practices) to which they cannot relate in any personal way and which have often played some role in their mistreatment or exploitation. An apologetic argument for Christian truths in those situations will be received as an implicit justification for the wrong that has been done the established powers. This is perhaps an even more insidious form of apologetic violence because it is generally invisible. It permeates our everyday practices and beliefs, and lurks just below the surface. The point I want to make about apologetic violence is that when it happens at one or both of the above levels, then it is not the Gospel that is being defended or advanced. Following up on the second kind of apologetic violence – the social kind – it becomes possible to see how Christian witness (and apologetics) is also political. The kind of politics operative here is what I call a deep politics, however, for I am not talking about leveraging power within some structure of governance. I am speaking at a more profound level of the relations that exist between persons that constitute them as a people—the level at which values and purposes give rise to explicit political structures that govern the relations between persons and how they conduct their common life together. Deep politics concerns public power and power relations between private persons. So when I say the Christian witness is political, I mean the concern about ideological or systemic apologetic violence connects Christian witness to the issues of deep politics. Against modern apologetics, a postmodern prophetic witness acknowledges that there is no space outside political power in which we can persuade people. The deep politics of modernity allows modern apologetics to imagine itself as operating apolitically, as dealing only with the rational justifications. Basically, I think Penner is making the same argument I was intending to put forth about ExploreGod but in a different and possibly more persuasive way. I look forward to reading this book.